Summer time or struggle time? The cons of summer heat waves and general hot weather includes puffy hair… or sweaty hair… or dry hair… You get the picture. 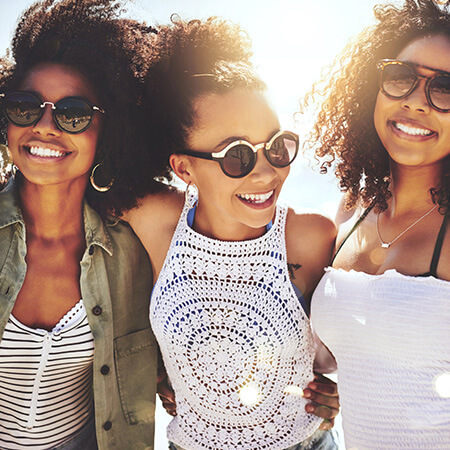 Too much sun exposure can damage the cuticle of your hair, and signs of this damage include hair discoloration, dry strands, split ends, and frizz. 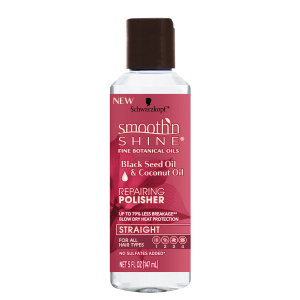 Luckily, Smooth ‘N Shine’s new line of products are catered for both curly and straight hair and include natural ingredients like Black Seed, Camellia and Coconut Oil as well as Shea Butter – meaning you can treat your tresses and ensure that your natural locks look great and healthy in this scorching weather! 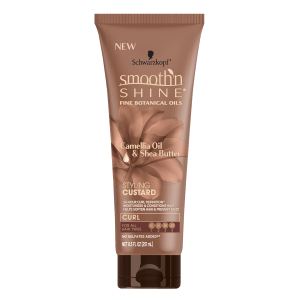 Smooth ‘N Shine’s Anti-Breakage Lotion is great for wavy, curly and coily hair (typically 3A-4C). This product rebuilds damaged hair by up to 84% by binding split ends! Comb this lotion throughout your damp or dry hair and style it in a nice bun or braids! Keeping your hair in a style where your strands are grouped tightly together is a surefire way to avoid breakage in the heat and retain length! Hydration is the ultimate key to hair health, and Smooth ‘N Shine offers it all! The number one culprit to dryness is lack of moisture and this can happen from both sun and heat overexposure. 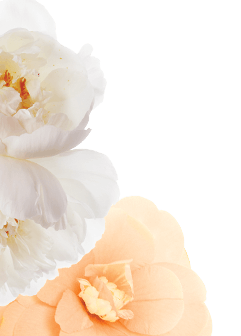 Try our Quenching Co-Wash infused with Camellia Oil and Shea Butter for quick penetrating moisture. This is also a great cleansing option to get rid of any built up product residue which can accumulate with sweat from the heat. If you prefer full coverage from sun rays, consider styling your hair with a silk scarf! Treat your hair with the Curl Defining Cream or Coil Hydrating Butter (depending on what texture you have), and simply wrap your natural hair turban style. This ensures that the moisture doesn’t escape and you avoid potential frizz. Slay your edges with the Edge Smoothing Pomade if your hair is on the curlier side, or the Weightless Styling Gel for looser textures. 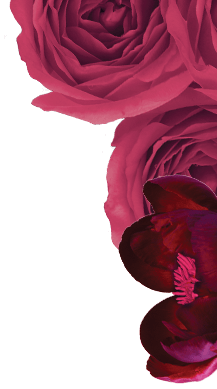 Need a little more TLC? 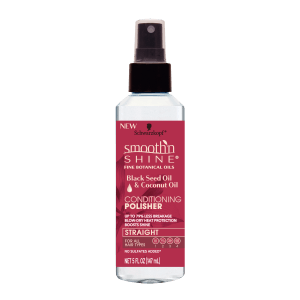 Smooth ‘N Shine’s Deep Recovery Treatment is a great option to repair and strengthen your traumatized tresses. Essentially a leave in hair mask, this product protects against frizz and leaves your hair feeling smooth and soft. The heat mixed in with multiple products can leave your hair feeling brittle and weighed down, which is why this hair treatment is the perfect choice to really penetrate through your strands and provide some much needed care (and moisture)! Protective styles like braids, weaves or wigs are great for covering your natural hair against harsh sunlight – but it’s still imperative that the essential moisture is available and can reach your real hair. Using synthetic hair contributes to dry locks, so it’s a good idea to use our Moisturizing Conditioner and Styling Custard to really hydrate your tresses under the protective style and avoid breakage. The Conditioning and Repairing Polisher are perfect for looser textured hair and reduces static by fighting against split ends and softening the hair. Brush this product through your strands before heading out the house and your hair will stay tamed and sleek against the hot weather! Don’t let the sun keep you from having nicely polished and conditioned hair! There are many ways to maintain your hairs health and Smooth ‘N Shine can help you remain stylish while doing so!